Like its name suggests, this annual wildflower begins blooming in early spring through summer. 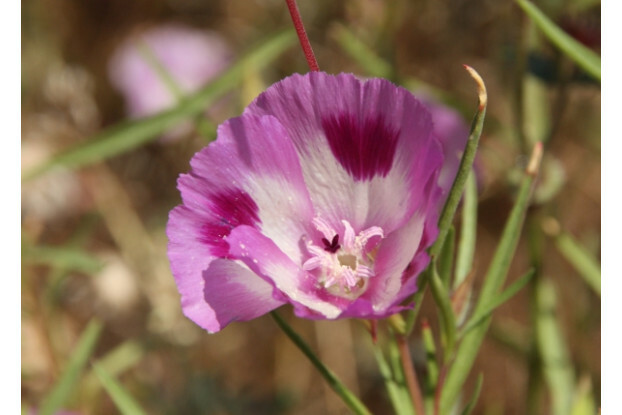 It is known to be one of the most prolific bloomers of all western wildflowers. The flowers of Farewell-To-Spring consist of four fan-shaped petals and come in a range of pinks and reds. It thrives in full sun conditions and prefers a well-drained soil. It can reach a height of 18 inches and is recommended for use along roadsides, wildflower mixes, and mass plantings.